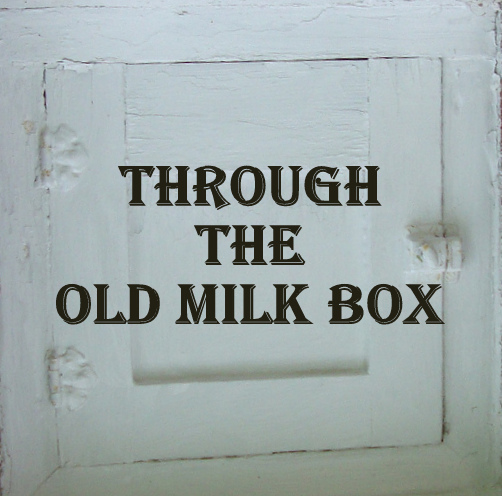 In my neighborhood, back in the 1950’s, houses had a little square door in the wall near the family’s side entry door, called a milk box. One door opened from the outside and another door right behind it opened from the inside. In between these doors there was a shelf the thickness of the wall. It was intended for milk delivery. Our milk box was painted milk white. It was rarely used. 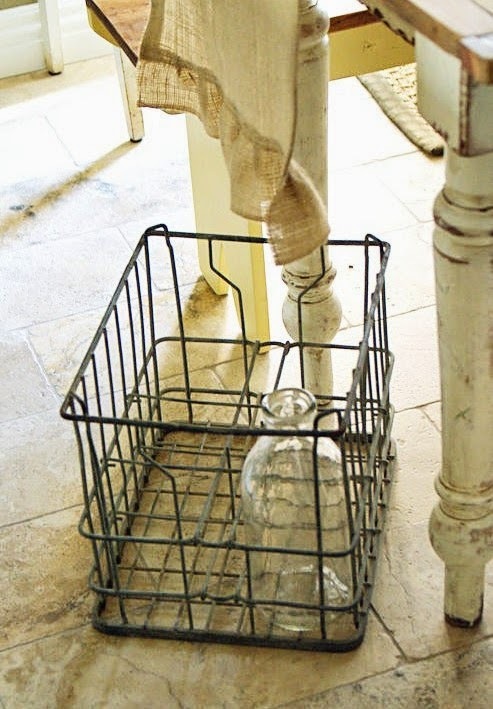 In those days milk was delivered by truck to homes in reusable glass bottles that were carried by the delivery man in square metal baskets with dividers for the bottles. People could leave their empty bottles in the milk box and fresh milk with cream floating on top would be left in their place. The reason our milk box was rarely used was because our milk delivery man was such a nice guy. He would stride up the driveway, holding his basket in one arm, slightly leaning with its weight. He’d open the storm door at our side entrance and walk right into our kitchen, a huge toothy smile on his craggy, stubbly face. Okay, now that I think of it, there was a conflict surrounding the milk box. Vanessa McKee was a special playmate who lived across the street. She was funny and inventive. I called her Van. Van’s mother had a kitchen cupboard FILLED with candy. Though it was fifty years ago, I can still see Mrs. McKee’s stash. There were boxes of chocolate bars and bags of Tootsie Pops, Hershey’s Kisses, hard candy, and Bit O’ Honey. The Tootsie Pops were my favorite because they lasted so long and at the end of the sucker, you got a second experience of sticky, chocolaty splendor as you chewed the middle. Even that would last awhile because it would usually stick to your molars. The candy cupboard was my favorite thing about Van’s house. I often pleaded with Van to ask her mom if we could have some candy and she would almost always refuse. Candy wasn’t special for her, it was available to her every day but never wanted. One summer day Van and I were playing at my house with our plastic Johnny West dolls and plastic horses, saddles and bridles and there was something that we needed from her bedroom. 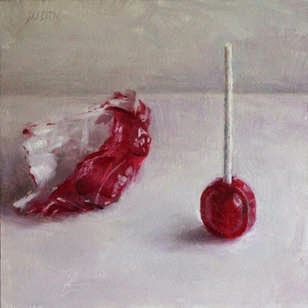 (I was dreaming about a cherry Tootsie Pop.) Though her parents were out of town, it occurred to me how to get into her locked house. I convinced Van that all we would have to do was climb through her milk box. She went for it, and we ran happily across the street. We stood in front of the chocolate brown milk box, pondering. 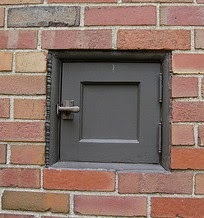 The little door was much too small for Van to climb through, but I was three years younger and several sizes smaller. I remember feeling the pressure of the shelf on my ribs as I wiggled though the door, falling into a pantry closet. This time she said okay. We were in front of the candy cupboard…my dream had come true. She opened a little box of what looked like Hershey’s Kisses and gave me one. Popping it in my mouth, I tasted something awful. It was not sweet. It was not good. It was dog candy! She had taken advantage of the fact that I could not read! All was not lost, however. Vanessa had a good heart (like a real chocolate center) and soon we were leaving with our loot — two Tootsie pops each. This entry was posted in Lesson 4 and tagged becky_n, Through the Old Milk Box. Bookmark the permalink. This was an enjoyable story to read. Loved the idea of squeezing through the small opening and being tricked with the sweets. You have really described the scene and the characters very well. I can picture Bob the milkman. This was easy to read. Very pleasant atmosphere- LOVE hearing about the milk box! I didn’t know about milk boxes in the door! –natural flow- good writing. I loved your story and also remember the milk box. Ours sat on the front porch. We had to go outside put the empty bottles in and get the milk out the next morning. My mother would pour the cream off the top and use it for many things. The milkman was not as friendly as yours, but then he came very early in the morning before we even got up. Thanks for reminding me. It is a good memory. Thanks so much for the feedback. I’m learning a lot from writing memories. The more I write, the more memories surface. I loved this so much! What a happy and cute little story! I wanted to know what happened the rest of the weekend after you got the tootsie pops! I am jealous of the days when “Bob” got to just walk in the house and the houses had milk boxes! Thank you for sharing this and please tell us more! Oh, this was terrific. You bring back the lifestyle in days of your childhood very vividly. Glad you remembered the milk-box conflict. What an adventure. Nice, nice job. I like your pictures mingled with your stories. It was a great story and there was a bit of childhood conflict there with your friend having candy and you not but wanting to get some. Great story to tell everyone!